Bishop Hannington Bahemuka has lived an extraordinary life in Uganda. Through his struggles and celebrations, he has been able to find God’s grace in the poverty and the dark as well as in the happy moments. He currently pastors a Charismatic church in Uganda as well as running multiple schools. He and his wife currently live in the town of Bundibugyo. 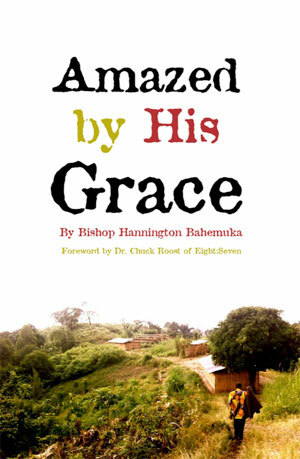 Bishop Hannington Bahemuka’s ability to find grace in giving has led him an eventful and rewarding life as evident in this autobiography. "Bishop Hannington could have allowed bitterness and revenge rule his life. Instead, using forgiveness as his motive, he worked tirelessly to turn a distressing situation into one of grace and purpose. Live the life of this African champion through the pages of Amazed By His Grace." – Phillip Smart, DMin, author of By Any Means.